Whether you’re shopping for elementary, middle school, high school or college students, finding the best backpacks for school can be challenging. There are so many school backpacks for girls and boys, and it can be tough to narrow down all the options and find the perfect fit. Check out this guide to finding the best boy and girl backpacks for school. There are two big options for shoppers when it comes to buying a new middle school book bag. Although it might be tempting to head to a local shop and try out backpacks in person, you’ll have a much bigger selection if you shop online. Plus, shopping for your next bookbag online means more colors, more choices and better deals, since there is no need to pay for a retail store’s overhead costs. Best of all, you can choose from so many different backpack colors, brands, and patterns. This ensures that you end up with the a top backpack brand for students in middle school. When buying kids backpacks, it is easy to be distracted by great colors and a fun design. While a pink bookbag might be the ideal choice for one student, the best backpacks are functional as well as attractive. To start, look for a backpack that boasts wide and padded straps. A few heavy textbooks can start to be incredibly uncomfortable unless the bookbag is designed to carry the weight evenly. The good news is that comfort is key, especially for students in high school who are carrying many books around. Well-respected brands like SWISSGEAR and The North Face are built with organizational pockets that can separate and protect smaller items like school supplies or electronics. Keeping pens, pencils, chargers, and calculators organized can make a big difference for busy high school students. It is also helpful to have a handle at the top of the backpack. Virtually all Jansport backpacks, for example, have a loop handle that makes it easier to pull the backpack in and out of a car, from underneath the seats of a school bus or out of a tight locker. Also, keep an eye out for a designated pocket that can fit a water bottle. Having water on hand helps students stay hydrated without risking a leak within the bag itself – and all over a student’s school books. Explore more about popular backpacks for high school students. In many respects, girls and boys will have the same needs when it comes to buying a new school book bag. However, there are definitely some backpack brands that cater to the tastes and color preferences of female students. Kipling, as an example, is a brand that is known for its chic style and trendy options, and it is a top pick for girls in search of a cute mini backpack. Herschel Supply Co is another on-trend brand, and they boast clean, modern lines that are ideal for teens. 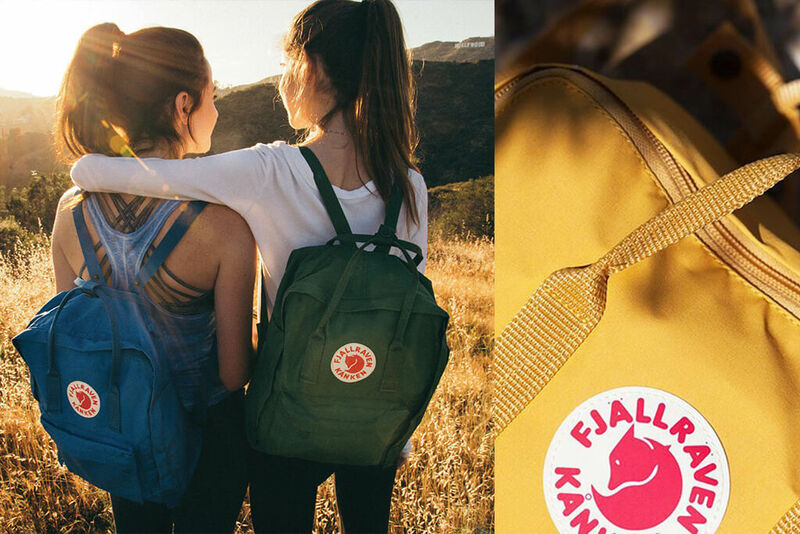 Arguably one of the most for girls as well as boys is Fjallraven. The distinctive rectangular style is now iconic, and it does a great job of protecting larger items like laptops. Girls who are active and enjoy the great outdoors might gravitate toward brands like Dakine, who are known for their casual, surfer vibes, or The North Face, which can get you through a mountain trek or math class. Of course, the classic Jansport backpack also comes in colors like gold, green, black or even camo, so girls can find the perfect bag for their aesthetic. With so many options, girls are bound to fall in love with one of the many backpacks available online, whether that’s a backpack featuring Disney characters or one with a trendy geometric pattern. A boy’s bookbag has to stand up to a lot, especially backpacks for college students. It’s worth investing in a quality backpack that is durable and built to last. 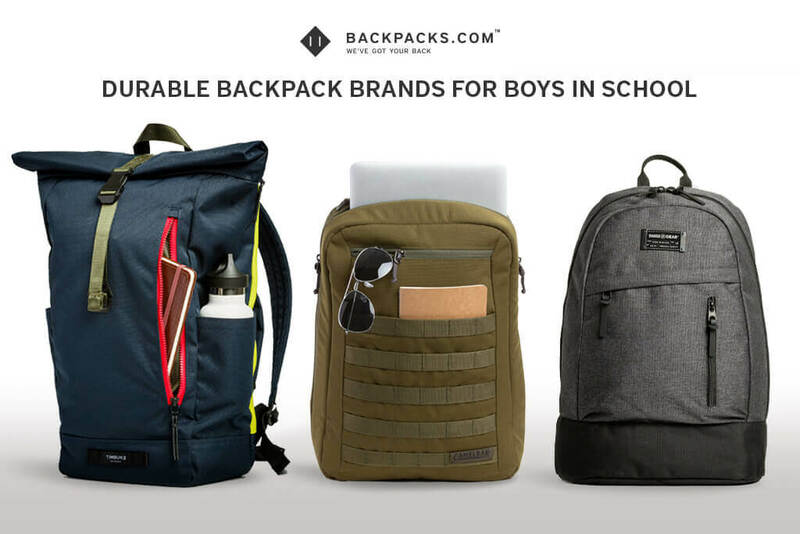 Fortunately, there are plenty of backpack brands that offer rugged construction and high-quality materials so that your backpack can last the whole school year and beyond. Backpacks from SWISSGEAR are a solid option, and many of them are crafted from a durable polyester designed to take a beating without getting damaged. The North Face makes backpacks that are water-resistant as well as backpacks with reflective materials to keep users extra safe while waiting for the bus in the morning or while walking home on an overcast afternoon. 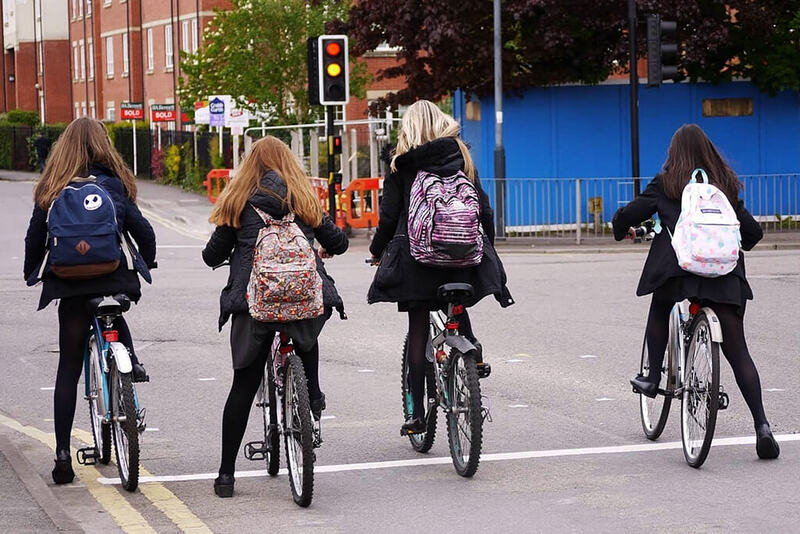 Superdry backpacks even come with compression straps to keep bigger items in place, resulting in a more comfortable fit and less movement, which can contribute to bag damage over time. Backpacks for teens who want rugged construction that can also look more mature. With plenty of interior volumes, these bags can hold a lot and still be comfortable when worn for long periods of time. If you’ve got a budding skateboarder on your hands, then a backpack made by Vans might be a good fit. For boys into art and graphic design, Sprayground backpacks are both durable and visually attractive. With so many boy and girl backpacks, you can rest assured that you’ll find one that meets your needs. The best backpacks will be durable enough to last the school year, if not longer, and look great the whole time. 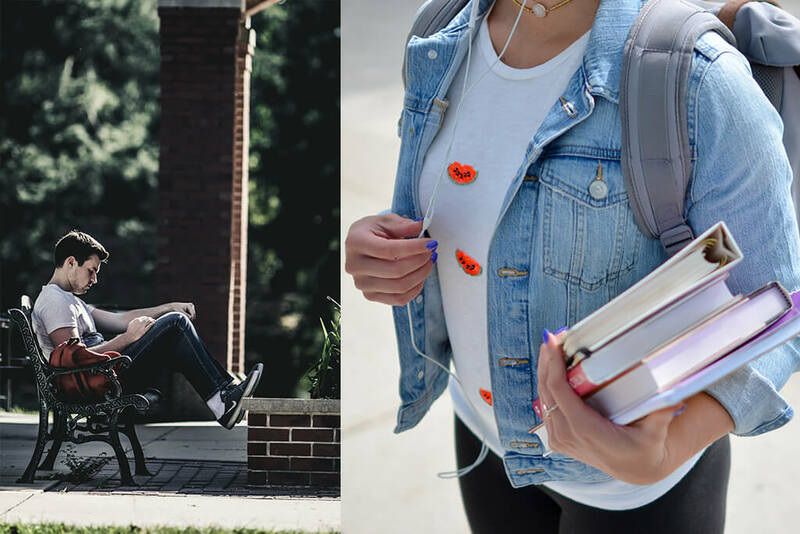 Whether you’re shopping for a male or female student, the right backpack can make all the difference. Share your adventures with us! 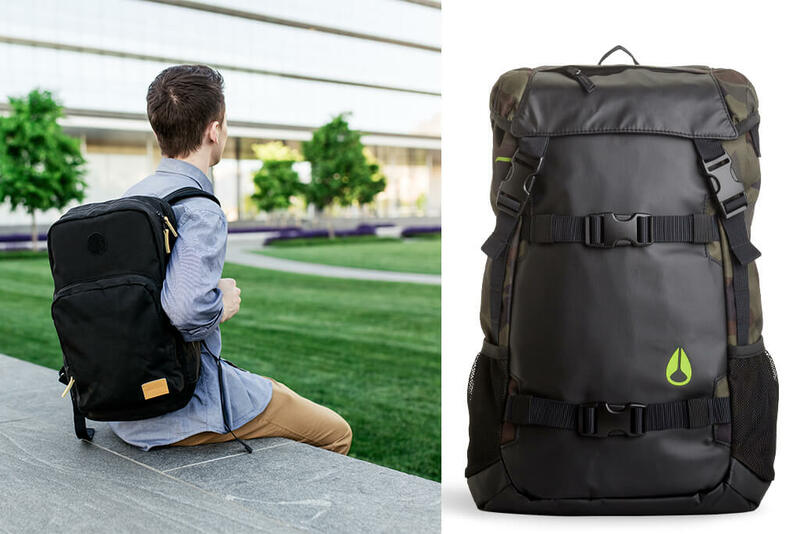 Visit Backpacks.com to discover the most popular backpack brands, and on Facebook and Instagram and share the locale and some of the memories you captured and you could be featured in one of our upcoming backpack blogs!